Perugia is the capital city in the region of Umbria in central Italy, near the Tiber river, and the capital of the province of Perugia. Perugia is an important artistic center of Italy. The town gave his nickname to the famous painter Pietro Vannucci, called Perugino, who worked in Perugia, Rome and Florence. Perugino is said to be the Maestro of Raffaello, who left in Perugia five paintings (today no longer in the city) and one fresco. Another famous painter, Pinturicchio, lived in Perugia. In Galeazzo Alessi Perugia found its most famous architect. Perugia has become famous for chocolate, mostly because of a single firm, Perugina, whose Baci (kisses) are widely exported. Perugia chocolate is very popular in Italy, and the city hosts a chocolate festival in October of every year. Perugia today hosts two main universities, the Università degli Studi and the Foreigners University (Università per Stranieri), and are melting pots for students from all over Italy and the world. Stranieri serves as an Italian language and culture school for students from all over the world. 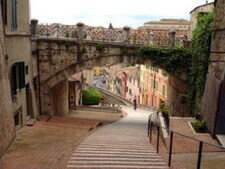 The city also hosts the Umbra Institute, an American school for students studying abroad in Perugia. The Università dei Sapori(University of Tastes), Accademia delle belle arti (Art Academy), and Scuola di giornalismo radio televisivo (a radio-television journalism school owned by RAI) are located in the city as well. The city symbol is the griffin, which can be seen in the form of plaques and statues on buildings around the city. The Arte Hotel is a modern seven-storey hotel featuring innovative interior design and artwork, located four kilometres from Perugia town centre and its various museums and cathedral. The hotel's 82 guestrooms have simple decor with white walls, large, modern wall prints and wooded furniture. All are equipped with satellite television, telephones and minibars. Bathrooms include bidets, hair dryers, and complimentary toiletries. 'Artist' rooms contain work by contemporary artists. The hotel features high-concept displays of frescoes, paintings, sculpture and reliefs by contemporary artists in all public areas of the hotel. The restaurant is open at all meal times daily, and serves local specialities such as Pennette alla Norcina and Tagliatelle alla Perugina. The Best Western Golf Hotel Quattrotorri is located 800 metres from Perugia Golf Club and three kilometres from the historic centre of Perugia, Italy. Situated on Hotel Quattrotorri's fifth floor in the rooftop garden is a 24-hour gym with an range of fitness equipment. The hotel also has a hair salon and a beauty centre. Complimentary garage parking is provided. A complimentary buffet breakfast is available daily. 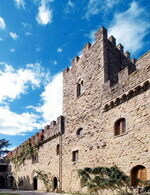 Il Convivio restaurant serves traditional Umbrian dishes and Quattrotorri Restaurant offers light, buffet- style lunches. A conference centre is available for up to 2,000 persons. 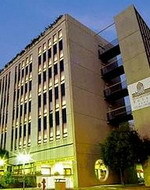 There is also a business centre and the hotel is equipped with complimentary wireless Internet access. Hotel Quattrotorri's 118 guestrooms feature contemporary decor in shades of cool blue and are equipped with soundproofing and air conditioning. Ten metres separates the fourteenth century neo-gothic Castello dell'Oscano from an historic villa, both of which are nestled amid 250 acres of natural woodland seven kilometres from Perugia. Antique furnishings and classic decoration combine in the 32 guestrooms, which feature cable television, minibars and complimentary Internet access. All overlook the park or valley below. Connoisseurs enjoy a daily-changing menu influenced by fresh local produce, as well as wine tasting and cookery classes provided by the chefs. Onsite recreation includes swimming in the outdoor pool, basketball, fishing, and mountain biking. A helicopter pad allows for sightseeing tours from the air, while a hotel minibus provides a mode of transport to and from the olive picking fields and horse riding school - both of which can be booked onsite. Room service operates 24 hours per day. 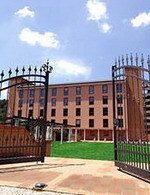 The Etruscan Chocohotel is located in Perugia, Italy, one kilometre from the historic town centre. It is 1.5 kilometres from the Great Fountain and 19 kilometres from the city of Assisi. This four-storey hotel features modern architecture and a unique chocolate theme. There is a chocolate shop selling all things chocolate-related and guests receive complimentary chocolate at check-in. There is a rooftop swimming pool with an adjacent sun terrace with loungers. The 24-hour front desk has multilingual staff who can offer currency exchange, concierge services, and the use of a safe- deposit box. The public areas have complimentary wireless Internet access and complimentary newspapers are on offer in the lobby. Parking is free. Restaurant Chochotel serves regional specialities and also features a separate chocolate- based menu. A complimentary buffet breakfast is provided. The Hotel Gio is located in Perugia, Italy, 800 metres from the historic town centre with its famous attractions, such as the Galleria Nazionale and the Collegio del Cambio. 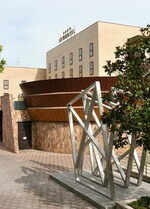 The contemporary hotel is dedicated to wine and jazz, which is reflected in its interior design. The Jazz Area, with musical instruments, a CD library, and a music store, is connected by a gallery to the Wine Area, which features a display of international wines. Food, wine and jazz- themed events are organised regularly. The hotel also includes a food and wine store, and guests can use the onsite swimming pool and solarium. Wireless Internet access is complimentary in the public areas. 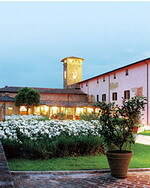 Hotel Gio features the restaurant Gio Arte e Vini, where regional menus are served. The wine list is refined and extensive. A complimentary breakfast buffet is available at the Ristorante Orleans, and a bar can be found in the Wine Area. The nearest golf course is five kilometres from the hotel. Located in the modern district of Perugia, the Park Hotel's striking contemporary architecture is five kilometers from the historic center of the town. Guests can take a swim in the 25-meter olympic size pool, or relax with a Turkish bath and Finnish sauna, before enjoying a drink in the piano bar. The gym is complete with Technogym heart-toning machines. 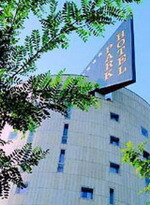 The hotel is set in Perugia's conference center, and with its 12 rooms can accommodate meetings for 20 to 300 people. Audio-visual equipment is available, along with simultaneous translators, secretarial services, a press room and exhibition spaces. The hotel's restaurant offers international cuisine side hotel's restaurant offers international cuisine side by side with traditional Umbrian cooking in a relaxed atmosphere, accompanied by an extensive wine list. Enjoy a wealth of leisure facilities including football pitches, tennis courts, and swimming pools at Relais San Clemente. Dating back to 1045, it is set just outside Perugia. Originally a church, this impressive property is just 20 minutes away from Perugia by train. You will find horse riding stables and an 18-hole golf course, both a 5-minute drive away. Relais San Clemente features a games room with billiards and table tennis, plus all of the outdoor facilities. Wi-Fi access is available throughout the entire building. During the summer the poolside bar provides drinks throughout the day. In the evening you can relax in the piano bar after dining on fine Umbrian cuisine at the restaurant.